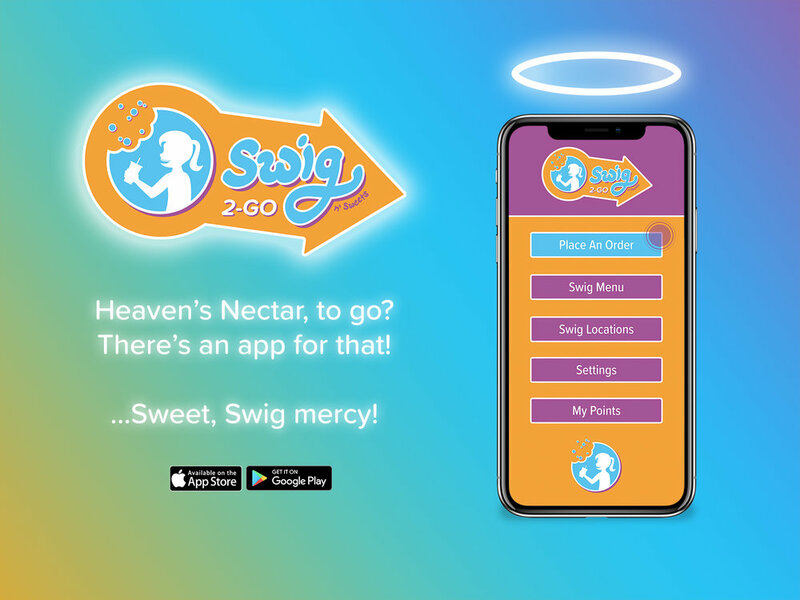 In Utah, Swig ‘n Sweets (usually referred to by its shorter, original name “Swig”) is a popular place to go for satisfying a sugar craving, or, more specifically, a soda craving. 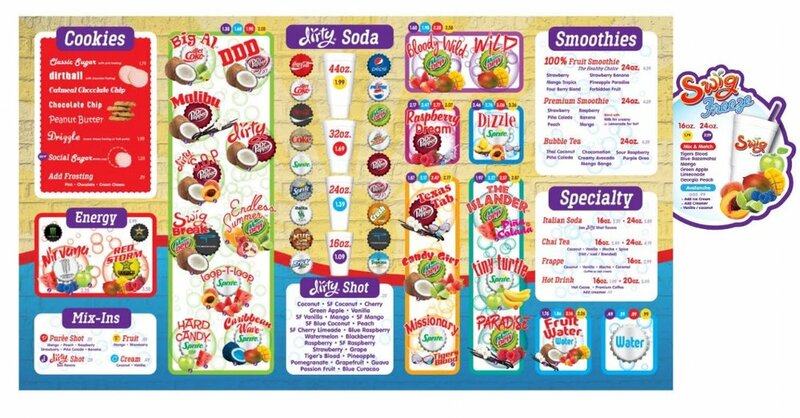 With 16 locations in Utah, they provide all the popular sodas you care about—along with a vast lineup of flavor-shots to enhance them with—and several different cookies to choose from. Although their drinks and sweets are well regarded, I'm convinced the brand could use a face-lift. The styles, colors, and edited photos on both Swig's website and Instagram account lean consistently trendy, young, and feminine. That consistency is good, but lost in much of their design. The Swig website homepage (swignsweets.com) currently has three photographs of females and no photographs of males, and the Instagram account's first 100 images (as of Feb 20) are about 77% female and 23% male for all the photographs containing people. I recognize a lot of the Instagram photos they post are submitted by Swig fans/followers, but that only further proves the point. Although my final design leans young and a little feminine, soda and cookies (and foods in general) aren't particularly gender specific, and a successful food brand shouldn't be either. 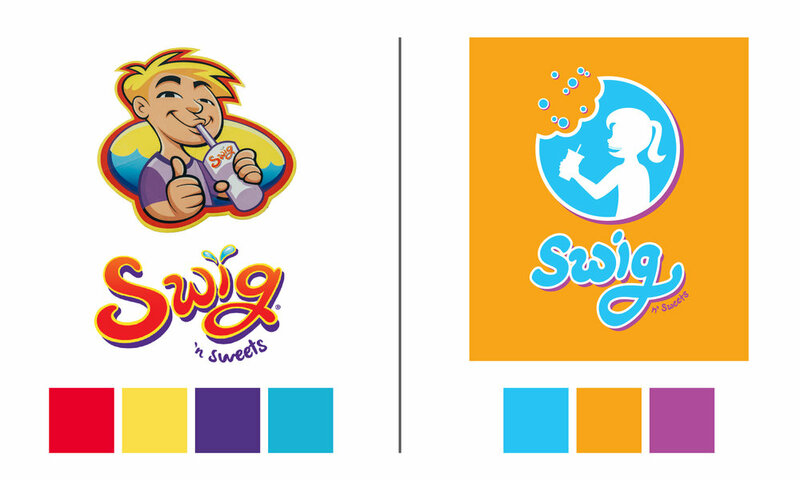 One strength of the Swig logo is its vibrant color. Soda and cookies (and most sugary things) are snacks that feel young—thanks largely to the ads we see from corporations like Coke and Pepsi—and vibrant colors contribute to that sense of youth. In my redesign, I kept with the theme, but specifically used colors that I don't see most soda shops and fast food restaurants using (namely, red and yellow). The goal of a good brand, after all, is to stand out from the competition. Making blue the main color of the icon was also intentional, hinting at the idea of refreshment. 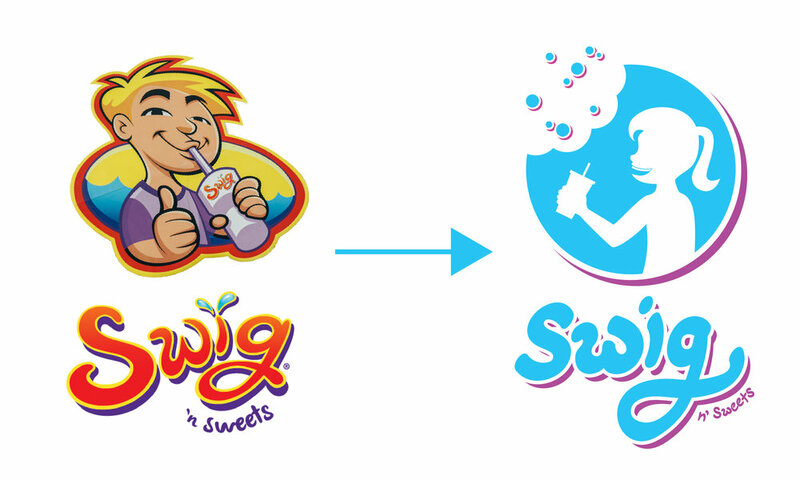 In staying true to the original Swig logo, I turned the character into a simple, scaleable graphic rather than a busy, detailed illustration, and placed her in a cookie shape to subtly reference Swig's most popular non-liquid product. Swig cookies are delicious (including the ones less famous than their pink sugar cookie), but they could be presented in a prettier and more practical way. Currently, cookies are placed in paper boats with a napkin. For my cookie photo shoot, even fixing the napkin and creating decent lighting couldn't save this presentation (placed on a red Swig background). So why not combine the paper boat and the napkin into one attractive package—a pouch/envelope? 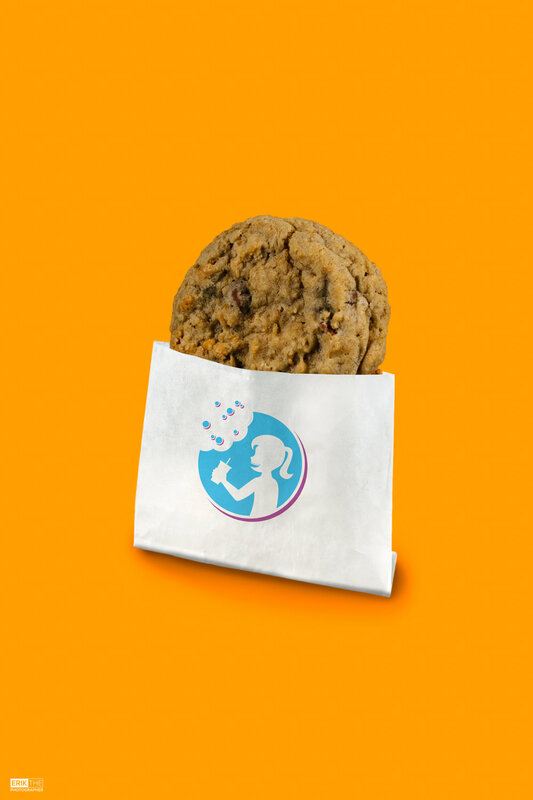 It prevents dirty fingers, it's a great to-go wrapper, and it's easy to put a logo on! Hooray for convenient, beautiful branding! The presentation of drinks is fine so long as you're OK with styrofoam cups, but the choice of logo leaves a different impression. ... 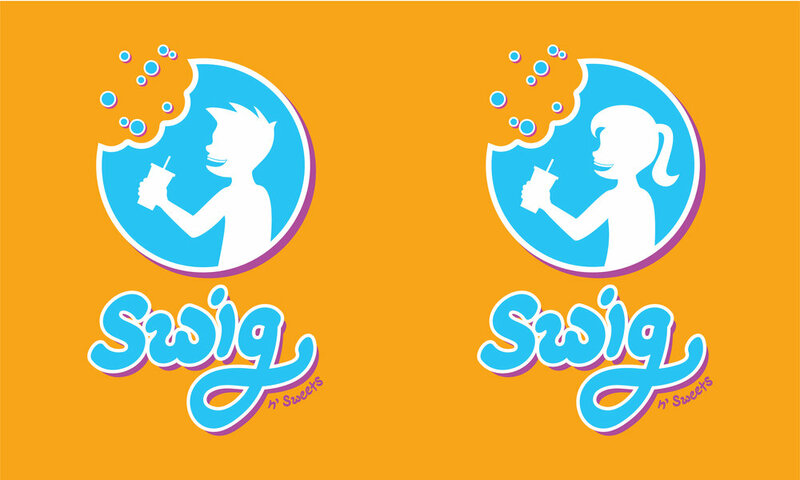 I designed a Swig logo just for you, bro.